In the City of Cutler Bay, people can be injured due to the negligence or even the intentional acts of others. It is important to fully investigate all accidents for yourself and for others. If you hold someone accountable for their actions, you just might save somebody else from suffering the same injuries because of the same actions. We all have to look out for each other in this world – and that includes holding people accountable for their actions and the results of those particular actions. If you were seriously injured or lost a loved one, you can call the Cutler Bay injury and accident lawyers at the Wolfson Law Firm. We have people standing by to speak with you right now – just call us at (305) 285-1115. Our consultations are free, confidential and come with no obligation. We handle all types of wrongful death and serious injury cases on a contingency fee basis. That means you never owe us an attorneys’ fee unless we make a recovery for you. The Cutler Bay accident lawyers and personal injury attorneys at the Wolfson Law Firm have served the people of the Cutler Bay and South Florida for all forms of injury cases since 1963. We are ready to help you and your family too. Cutler Bay was formerly known as Cutler Ridge. 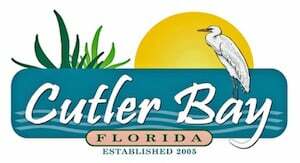 It was incorporated as Cutler Bay in 2005. It is a town with a population of approximately 44,000. Years ago, the area was used as an area where those settling in Homestead gathered supplies. Cutler Bay was originally known as Cutler, an area that was south of the Florida East Coast Railway. After Hurricane Andrew made landfall in 1992, it left the area in almost total destruction. Nearly every major building suffered damage from the storm. The damage were estimated at 25 billion dollars making it one of the most expensive natural disasters in US history to that point. A municipal advisory committee was formed later in 2002 to help with efforts to recover from the natural disaster. The population is comprised of 77% White or Caucasian, 14% Black or African American and 54% Hispanic or Latino. The Miami personal injury lawyers serving Cutler Bay are ready to help you and your loved ones. But you need to take the first step to your recovery by calling us at (305) 285-1115. Don’t be a silent victim to the injustice you have suffered. Step up and protect your family relations and yourself. Stand and demand the answers you deserve. If you have lost a family member, the Cutler Bay wrongful death attorneys at the Wolfson Law Firm can help. Our Cutler Bay accident lawyers can represent you and your loved ones if you were seriously damaged because of the acts of another person or company. We have a bilingual injury legal team serving Cutler Bay in Miami. 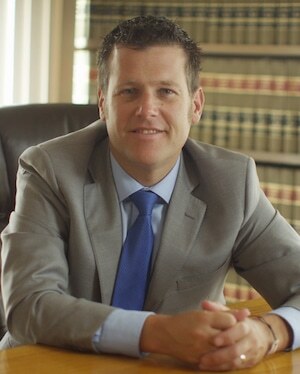 Our Managing Attorney Jonah Wolfson is a bilingual wrongful death lawyer and personal injury attorney serving in Cutler Bay and in Miami Florida. Call us at (305) 285-1115 for your free consultation. Our Miami personal injury lawyers are here to help the residents of Homestead, Florida City, Naranja, Goulds, Princeton, Key Largo, Islamorada, Kendall, Dadeland, The Hammocks, South Miami and Kendale Lakes.